Our daily schedule is filled with the complements of prayer and work, silence and students, laughter and quiet acts of community kindness. It is a balanced day devoted to furthering the kingdom of God within each of us and throughout our world. “As morning breaks we look to you, O Lord, to be our strength this day” (Morning Prayer). The day begins early to allow time for contemplation before the Lord who is the source of all our apostolic activity. Our morning begins together in community before the Blessed Sacrament. We begin each day with the Angelus, Morning Offering, and a half hour of private meditation. 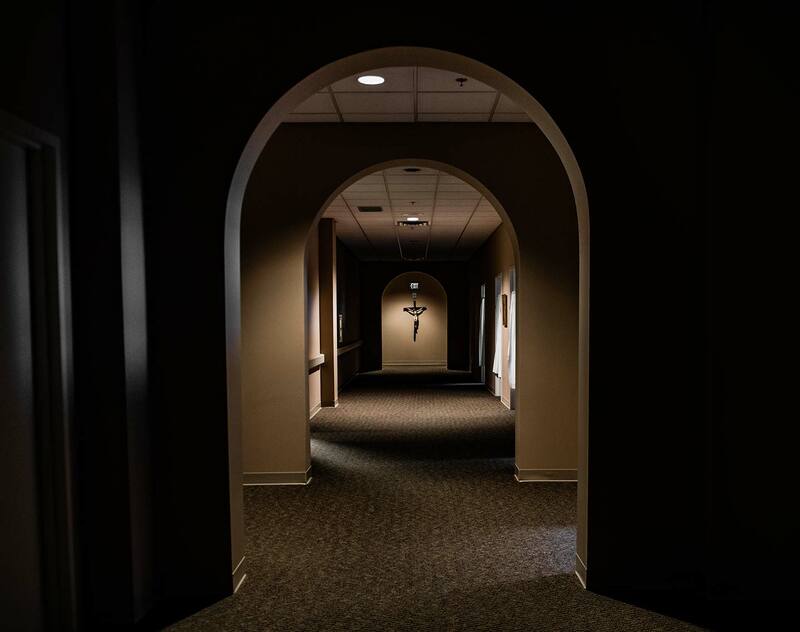 We give the first moments of our day to Jesus in order to bring him to our students and the people with whom we work. The Divine Office marks the sacred and fixed rhythm of the day. 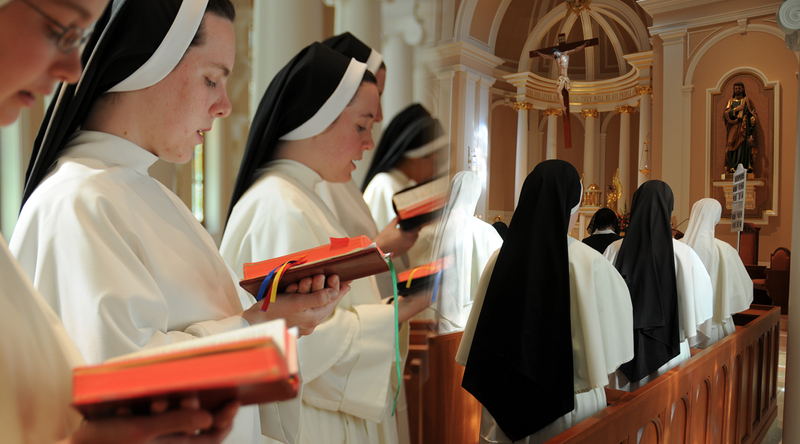 Following the monastic custom of praying chorally and in the tradition of our Holy Father St. Dominic, we pray with our entire bodies, standing, sitting, and bowing as we chant the Divine Office. 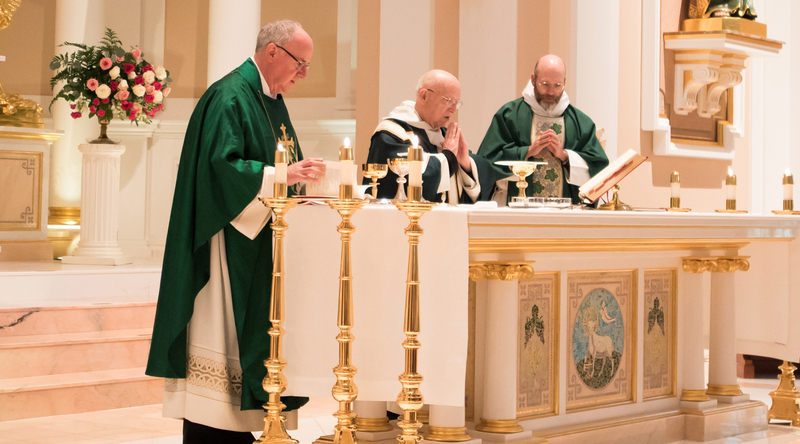 As a sign of our common consecration, we take part in the community Mass each day. This is the high point and center of our day. After Mass until noon each school day, Our Lord is exposed in the Blessed Sacrament. The community gathers in the refectory for meals, which are eaten in silence. During the meal, we listen to readings from a spiritual book so as to be fed spiritually as well as bodily. Solemnities are an exception to the norm of silence in the refectory as we celebrate the day by talking during the meals. The postulants begin their day at Aquinas College where they work toward an undergraduate or graduate degree and teaching certification. 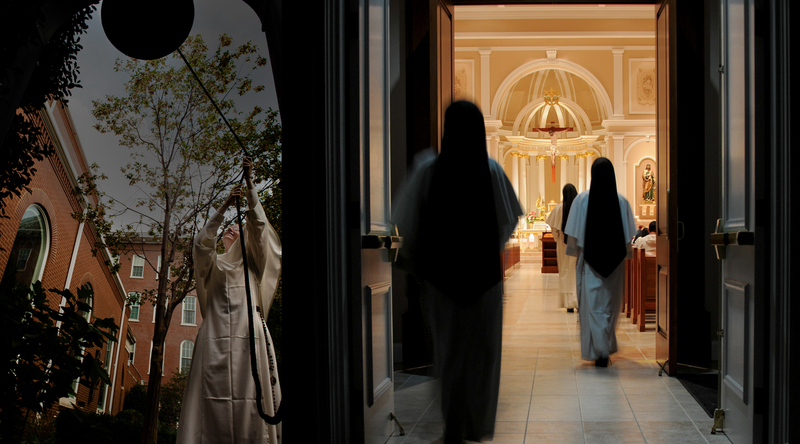 The sisters return home for noon prayers and house duties. 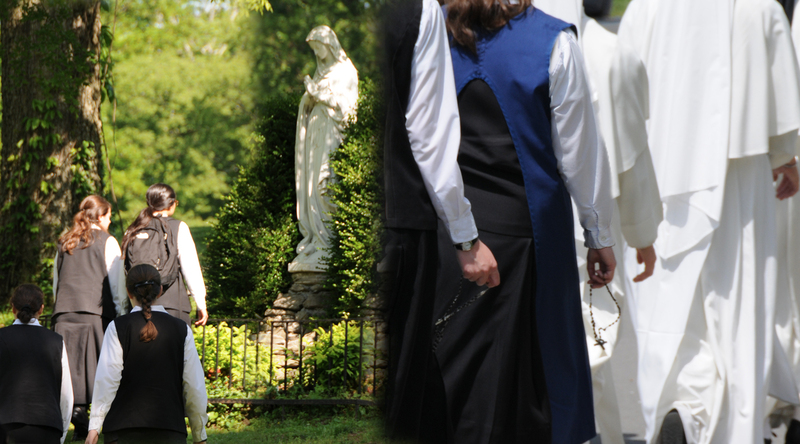 In the afternoon, they pray the Rosary with the novices as they walk the Motherhouse grounds, and then have a time of recreation. The afternoon is filled with classes and study at the Motherhouse, direction from the novice mistress, and time for daily spiritual reading. The novices begin their day in service to the community as they serve breakfast. As the others sisters leave for school, the novices make a visit to the Blessed Sacrament followed by a time for house duties. 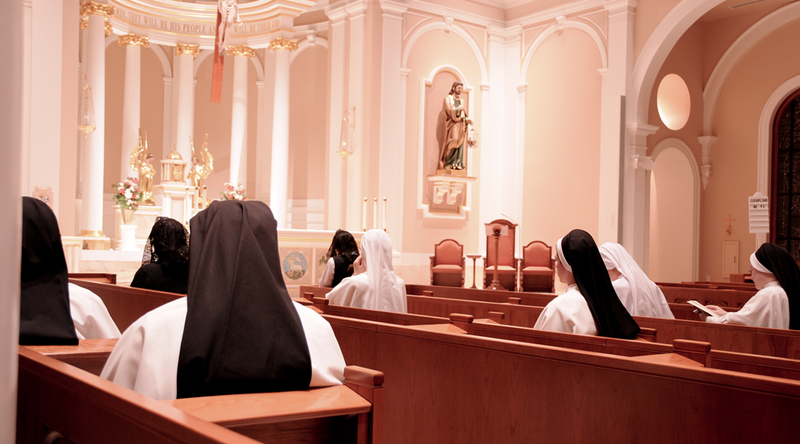 The morning is filled with a class on Spiritual Theology and instruction on the vows, taught by the novice mistress. Classes are followed by a second meditation. A time for the Rosary and recreation with the postulants follows. The afternoon consists of classes and study, direction from the novice mistress, and time for daily spiritual reading. 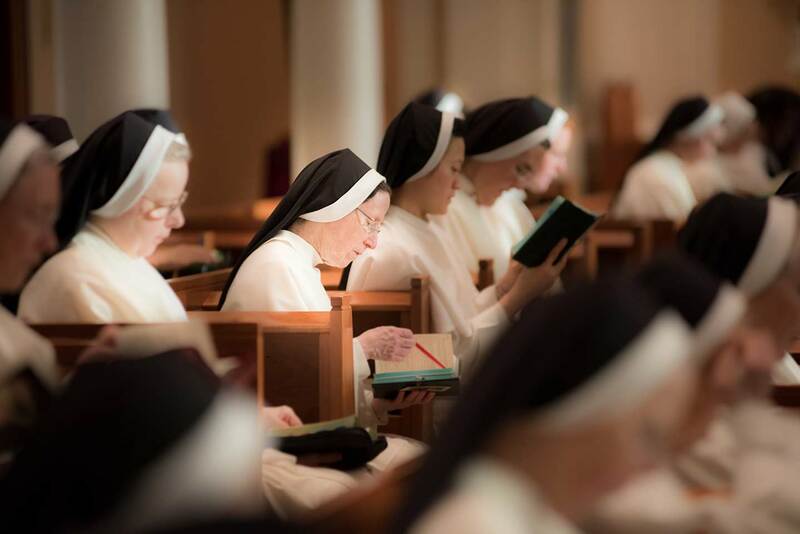 After first profession of vows, the sisters work toward the completion of a degree or teaching certification at Aquinas College. 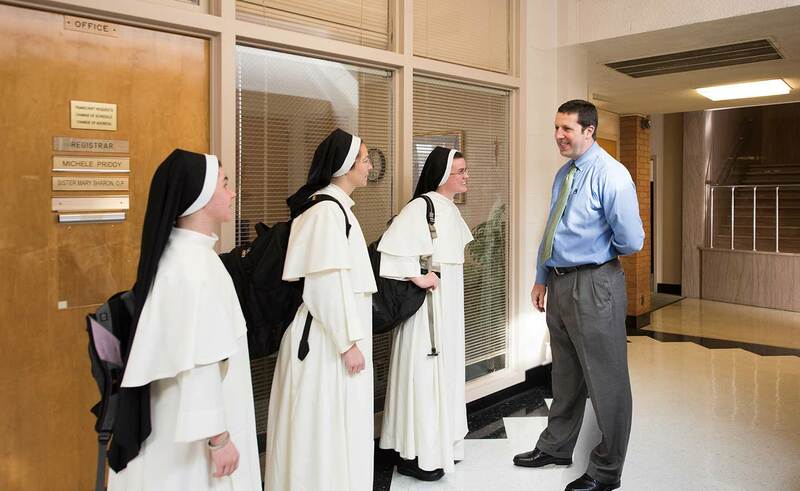 Their time at school is a combination of study, prayer, and recreation. 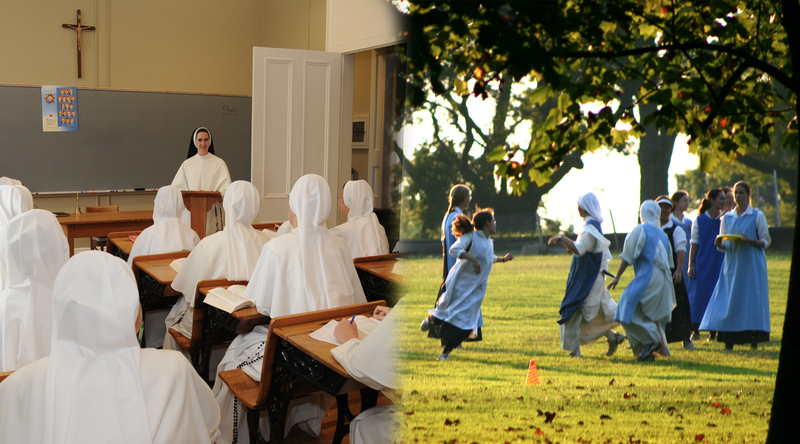 When they return home in the afternoon, the sisters have time for study, prayer, duties or recreation before Vespers. 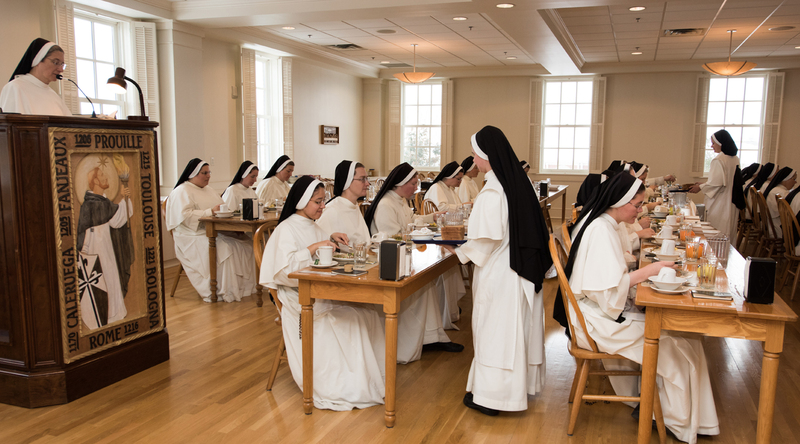 After breakfast, the teaching sisters make a visit to the Blessed Sacrament before leaving for school. The day is spent in the apostolate, bringing the truth of the Gospel to students of all ages in various subject areas. 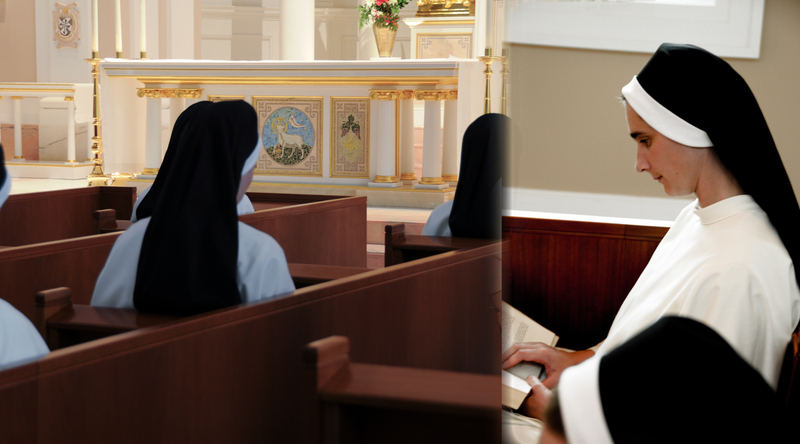 As they return home from school in the afternoon, there is time for prayer, study, schoolwork, or recreation before Vespers. 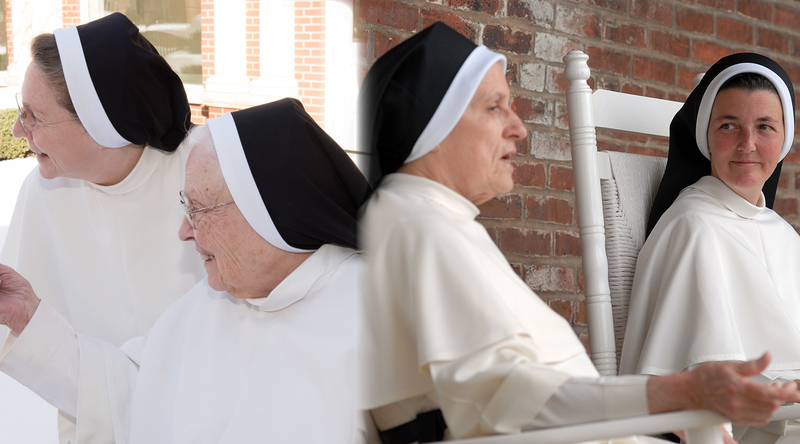 The sisters who are no longer actively engaged in the teaching apostolate provide a witness of wisdom and prayer which are a constant source of encouragement and strength for the community. 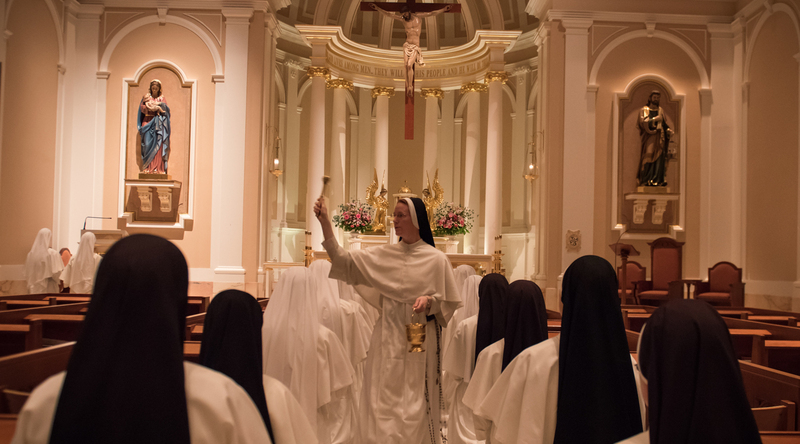 They give themselves to daily adoration of the Blessed Sacrament, where they pray for the intentions of the apostolate and the needs of the world. 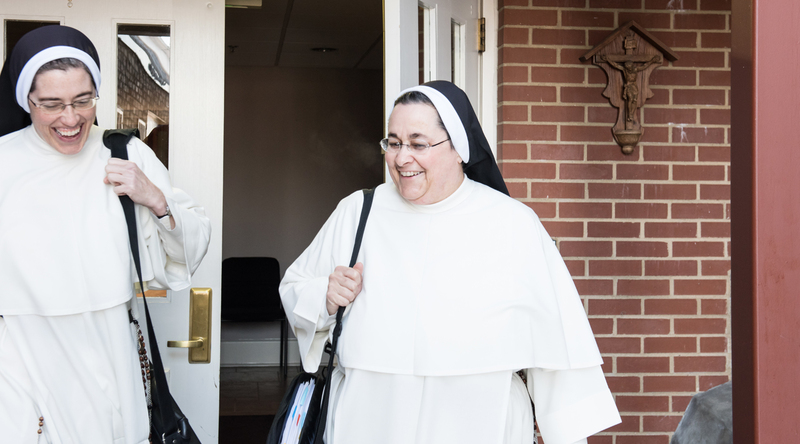 Their love for Christ and fidelity to their consecration offer a joyful example to those who will come after them to carry on the life and charism of St. Cecilia Congregation. As daylight begins to fade, we gather in the chapel to chant the evening prayer of the Church. Vespers is followed by the recitation of the Rosary in which we honor Our Lady and meditate on the life of her Divine Son. Following the reading of the martyrology, we process from the chapel to the De Profundis Hall where, in keeping with Dominican tradition, we recite Psalm 129 together for the deceased of the Order. St. Dominic’s desire to be buried “under the feet of his brethren” sparked this custom of prayer. Our grace before meals reflects our prayer in the chapel as we chant the prayers from side to side. 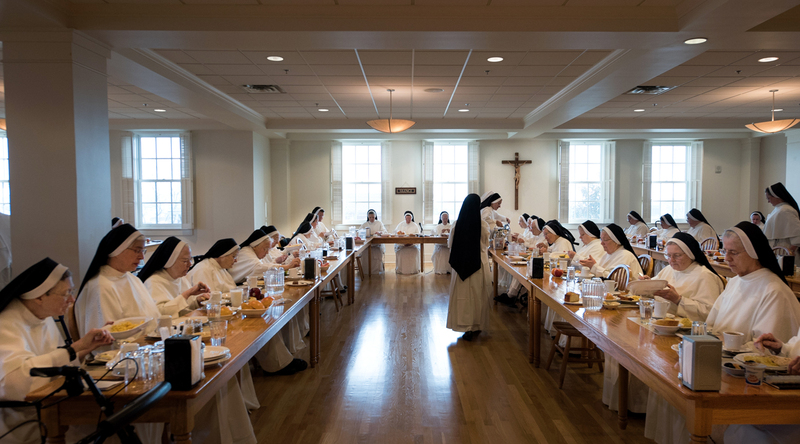 The meal is served beginning with the youngest sisters, a custom practiced by the Order since the time of St. Dominic. 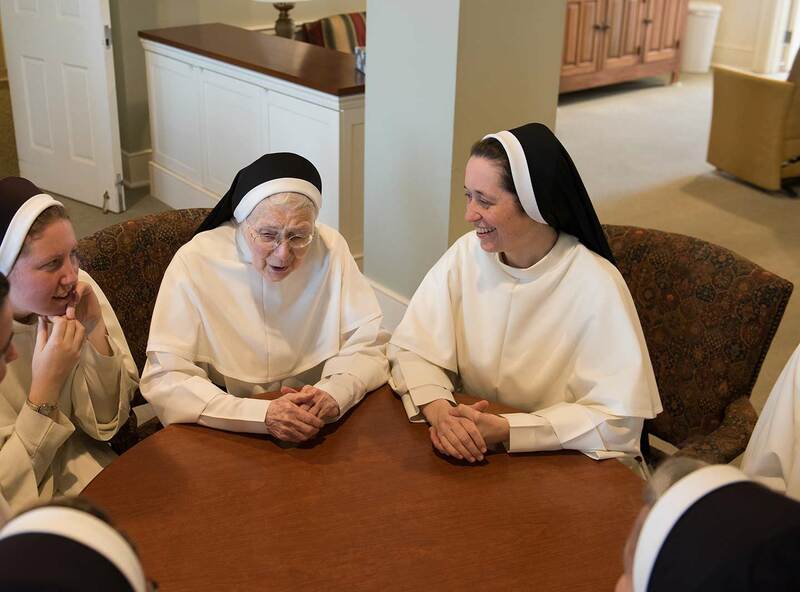 Each evening we gather for an hour of “family time” during which the sisters relax, enjoy one another’s company, play games, or engage in a favorite hobby such as knitting, cross stitching, Rosary making, etc. This time serves to re-create the sisters after a long day and to strengthen the community bonds by which we are united. 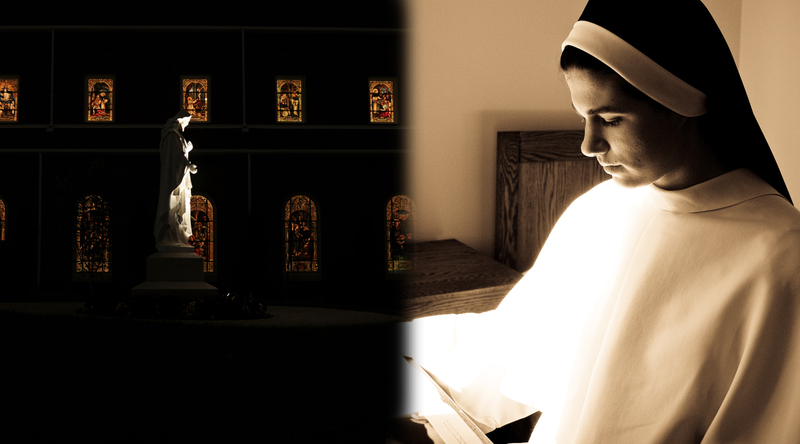 In order to nourish the light of faith, we have fifteen minutes of spiritual reading each night before Compline. Spiritual reading is followed by community night prayers which give thanks to God for the day. The day ends in choir as we chant Compline, the night prayer of the Church. In accordance with the ancient tradition of the Order, we sing in procession the Salve and the O Lumen. On Saturdays, the Litany of the Blessed Virgin Mary and the Inviolata are added to honor Our Lady. In order to preserve a spirit of recollection with God, we observe silence in the house after Compline. This silence is necessary for one who wishes to contemplate and to give to others the fruits of her contemplation. This time is used for personal prayer, school preparations, study, etc. A deep silence comes over the house at this time. The ringing of the Angelus bell the next morning will lift this silence as we once again begin the day of glorifying God and working for the salvation of souls.